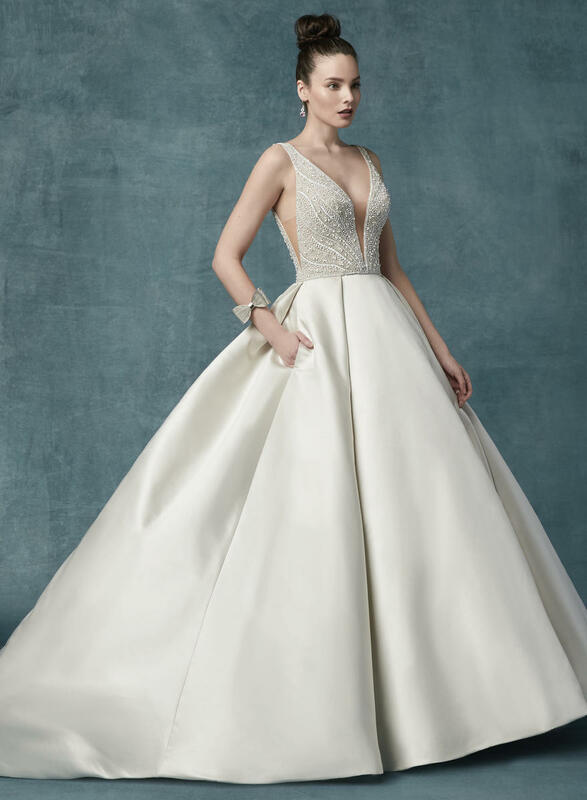 This vintage-inspired princess wedding dress features a beaded bodice atop a Carlo satin ballgown skirt with pockets. Beaded straps with illusion side insets glide from illusion plunging sweetheart neckline to square back. Finished with covered buttons over zipper closure, drifting from back to hem. Includes a modesty panel for more demure coverage in the neckline.